Custom is the name of the game for Villa International RV Furniture. 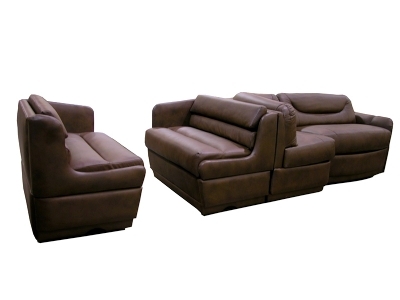 If you are looking to have a custom sofa set built for your home away from home, then let us help you! Villa International specializes in custom ensembles, so you are guaranteed to have the perfect piece for your RV. Handcrafted from only the highest quality materials and fabrics, your new Villa Custom Ensemble will be the talk of the campground. Villa has long been renowned for their custom ensembles, so you can rest assured that you are in capable hands. No matter what you are looking for, the customer service experts here at Bradd and Hall can help. Get ahold of us today and let us build you a beautiful Villa Custom Ensemble for your highway castle today.